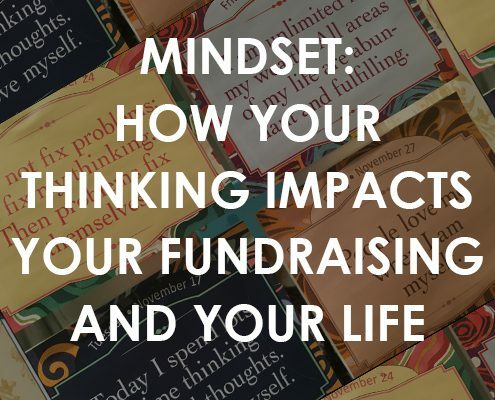 Does your mindset really impact your life – and your fundraising results? I’d suggest that your thinking has tons to do with how your life rolls out. 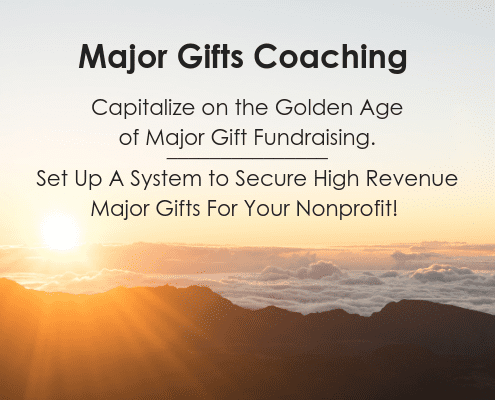 I co-presented this topic earlier this week at the AFP International Fundraising Conference with master fundraising gurus Lori Jacobwith and Marcy Heim. We had a blast pulling together our own personal mindset management tips to share – things that have helped us survive the bad times and ultimately flourish. I have to say I was quite impressed with our audience’s reaction to this session. 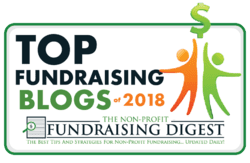 It’s a bit “woo-woo” for all the straight-laced fundraisers at AFP. 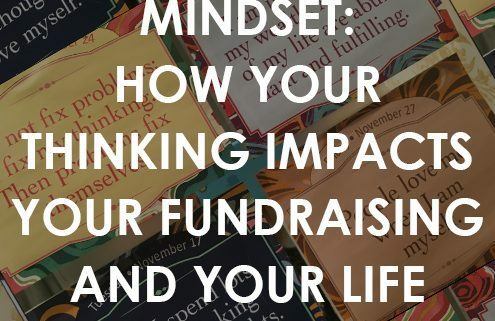 How your thinking impacts your life and your fundraising results. 1. You CAN change your thoughts. It’s important for you to simply acknowledge that your thinking impacts how you FEEL inside. Where do many feelings come from? From thoughts that generate an emotional charge. If you are thinking happy, positive thoughts, you will find that you’ll feel much happier. And if you are thinking sad or depressed thoughts, you’ll find yourself sinking lower and lower into pessimism. If you are really aware of your thoughts – then you can change them. Try blocking it off and make yourself switch to something more positive. I keep little affirmations taped to my bathroom mirror. And I’m glad to brush my teeth looking at such positive thoughts. It’s a nice way to begin and end the day! Take away: Pay attention to your thoughts, and make them as positive as possible. Have you ever noticed that when you start simply appreciating the things around you, that you feel better? If you want to instantly put yourself in a mindset of well-being and satisfaction, then try the Gratitude Game. 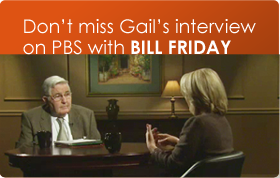 Get a partner – your spouse, colleague, child or friend. Take turns saying out loud – something that you are grateful for. Go back and forth, sharing these happy thoughts. We played this game with the entire audience at the AFP Conference last week. People paired off, and just took turns sharing their gratefulness. You should have seen everyone’s faces! Expressions changed. Smiles appeared. Happiness was everywhere. I was stunned at the transformation of people’s faces. Last Thanksgiving, my family and I gathered around the dinner table. After saying grace, I suggested that we all take turns sharing something we were thankful for. We ended up going round and round, over and over, with each person sharing an appreciation. Wow! It might have been the happiest moment of the entire weekend! Check out this interesting article: 31 Benefits of Gratitude. It has links to many scientific studies about the benefits of this practice. Forgiveness means letting go of grievances. We all have people who have hurt us. Situations that happened in the past that still ache and hurt. Even health issues that continue to pester us. Can you let this all go? That’s why they call it a “practice” – you have to practice it over and over! You could consider forgiveness as a spiritual practice. That’s how I embraced it. The sages say that keeping anger festering against someone or something only hurts yourself. It doesn’t hurt the other person. My own forgiveness practice has helped me forgive myself for many things. I’ve become easier on myself. Something else good comes out of this practice – you are better able to let go of things and people, and situations that rankle you. You develop more of a sense of equanimity, easiness and calm about life. You can take the ups and downs with a bit more of an emotional cushion. We all want to feel calmer, more peaceful. We all want to find happiness and joy. If you do, then start within. Cultivate your thinking and your attitudes, just like you are planting seeds. These practices are NOT easy, for sure. They take years, and even lifetimes! But they can make you a far more pleasant, positive and happy person. And then career success comes more easily. You become a person whom others want to be around. A person who is respected. A person who radiates an energy that helps others feel good. I don’t know about you, but that’s where I aspire. If you want to change the world, then you have to work within as well as without. I totally believe that positive emotions within help bring about positive situations. And this practice has certainly worked for me! BOTTOM LINE: You CAN Control Your Mindset – and Impact Your Life AND Your Results! What has been YOUR experience with mindset practices? What’s worked for you? I’d love to know! 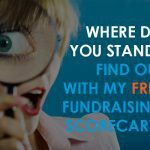 Would you like more posts like this one – it’s a bit out of the box for fundraising?